Maybe you can still get a box end wrench on the fitting so you can tighten the line without stressing the weld, squeezing the wrenches together. Take an old wrench and grind the side of the box end down if you need some clearance, but you probably already know this. What you describe "squeezing the wrenches together" is what has so far worked good for me. Luckily the 10 AN doesn't take a whole lot of torque to seal her up. Not much pressure on the return line to the oil pan. Thanks for the input guys!!! Torque arrested applies to the fitting after you tighten it too. Its the vibrations and slight push pull applied to the fitting and the weld while driving that causes them to crack. You really dont want a big oil leak there. I have been really lucky with this type of mod then. Here's a couple more that I did. My oldest (12 Years old now) welded oil pan is still working great. Over a 100k on it. The stock DSM 1st and 2nd generation Talons have leakage issues with the stock type gasket oil return inlet. I'm mental when it comes to oil leaks. lol So this is why I started welding in 10 AN fittings about 12 years ago. 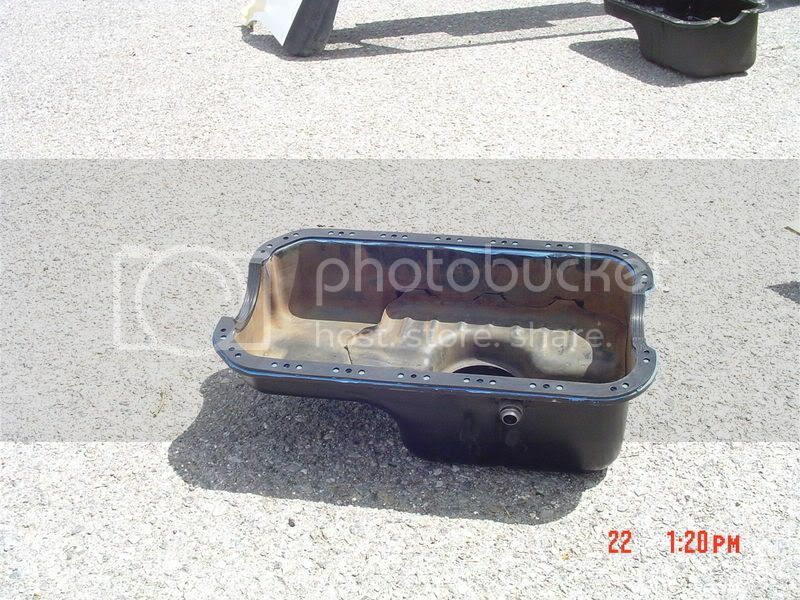 The Honda oil pans that I did are the ones that did scare me because of how thin they are compared to the DSM pans. The drain is at the top of the oil pan? Yes, you never want the drain below oil level with the chance of blowing out the oil seals in the turbo. turbo return drain line, not the actual sump drain. As Joris and RobertISaar have stated the turbo oil return return line must be above the oil level in the oil pan. The turbo oil return line usually uses gravity to return the oil back to the oil pan. Crankcase pressure is very critical because once crank case pressure reaches a certain point it will affect the turbo's oil flow back to the oil pan. On a high HP turbo engine at high load WOT you have a ton of engine blow-by which equals high crank-case pressure. The turbo adds even more pressure to the crankcase at high load WOT when its making boost. Turbo's are designed to have higher pressure on the compressor side and turbine side of the oil seals of the center cartridge to keep oil from getting into the compressor and turbine housing (just like piston compression rings). The downside of this is it adds more pressure to the crankcase. Pressure flow past the seals inward toward the center housing and adds pressure to the turbo oil return-line and then the oil pan. On my engine at WOT high load the turbo oil return will have some help with return oil flow because I'm using a Tilton oil pump to draw oil from both turbo's and return them through the oil pan fitting in my pictures. So right now I'm working on routing the oil return lines so both of them are on a downward slope back to the oil pan. I'm also adding a "by-pass valve" to by pass the Tilton pump for light load FE conditions. This part of my build has been the most time consuming and starting to burn me out. But I'm getting closer. Last edited by pgfpro; 06-05-2014 at 02:45 PM.. The turbocharger manufacturers tell you to put the oil return above the oil level, to use at least 5/8" return line and keep the slope of the line to at least 25 or 35°. 10AN = 5/8" , the return looks almost vertical and the oil return is at the top of the sump I would say it looks good. Also have you thought about using an oil restrictor? I read about some tallon guys using them to lessen oil windage inside the turbo and it worked really well. I think they found that when using a T76 like I put on my diesel that sending the turbo 70psi of oil unrestricted the turbo almost would not spool at all, but when they used a 0.050" restrictor and 15psi of regulated oil pressure they knocked like 10 or 15 seconds off spool up times. I run oil restrictors on both my turbos. And the turbochargers have their own oil filter. oil feed line that comes from the stock location on the head. The low pressure turbo is feed from the oil filter housing. Im using all Forced Performance lines that came with the turbo. This turbo has a built in restrictor. I think its around .050 ? Im up camping right now and will have to check it out Friday? Ok you are pulling oil from 2 different places. I was using a tee. I would recommend using a filter with a restrictor. 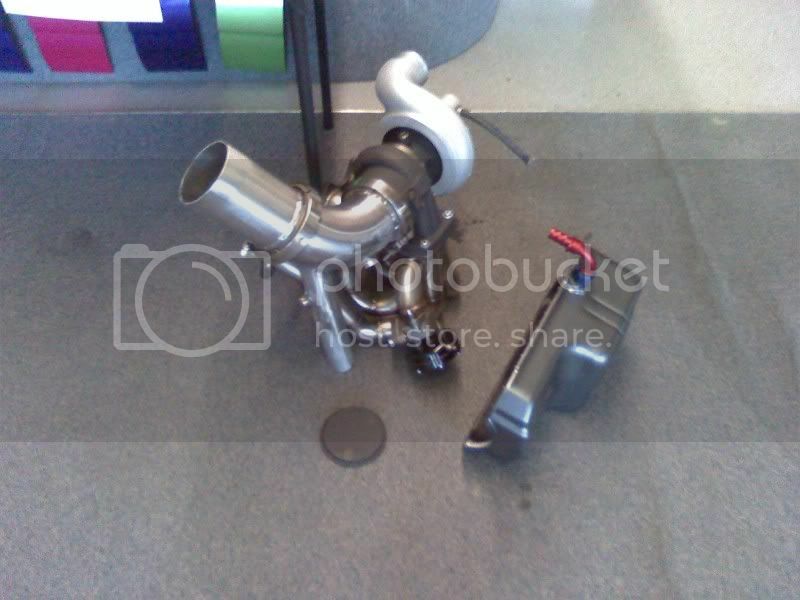 I lost a turbo after a chunk of junk clogged the restrictor.